Let me begin by saying that I am a true believer of the writing process. 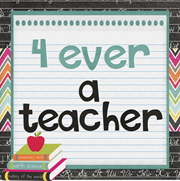 Many years ago, I was the writing coach at my first school and received intensive training by America's Choice. I have never looked back. I don't know if they are still around, but they changed the way I teach writing. Is That a Fact by Tony Stead, is my go to book for informational teaching ideas. It is filled with great examples, suggestions, and ideas. 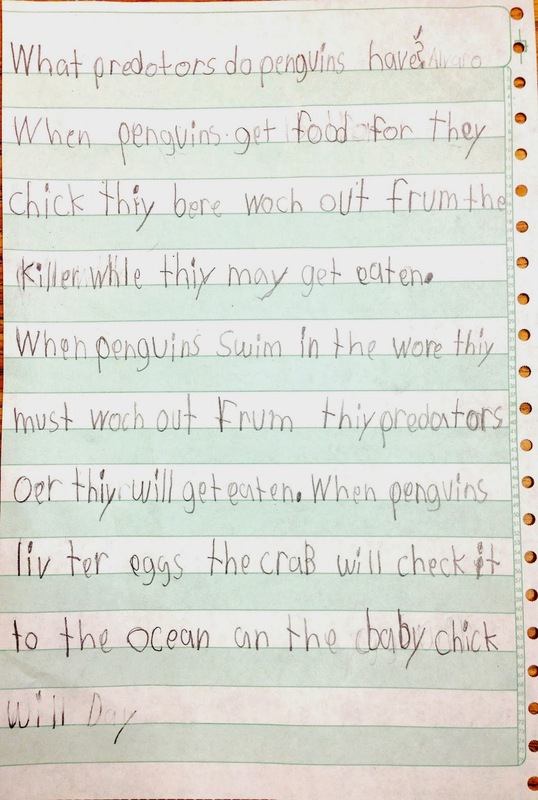 So as you can tell, I LOVE, LOVE, LOVE teaching writing AND my kiddos love it too! Which means they work really hard on their writing, learn soooo much, and become awesome writers...it is a win-win for everyone. We have been writing narratives, opinions, poems, some functional pieces, and have now started a full informational genre study. Their final product will be an "All About" book. 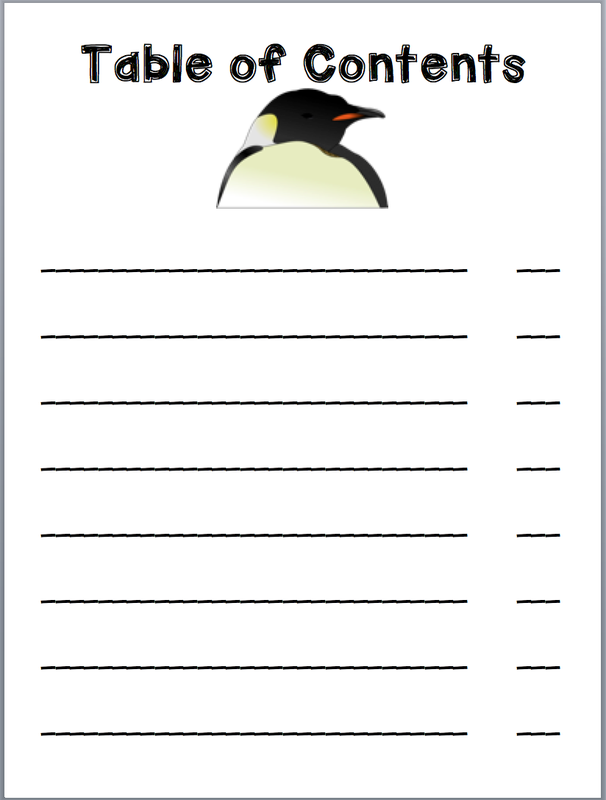 Since it is January, and I like to integrate science, I decided to start with penguins-I love penguins. Our first attempt will be very guided. I choose the first topic. I bring out all my personal and library books on the topic. 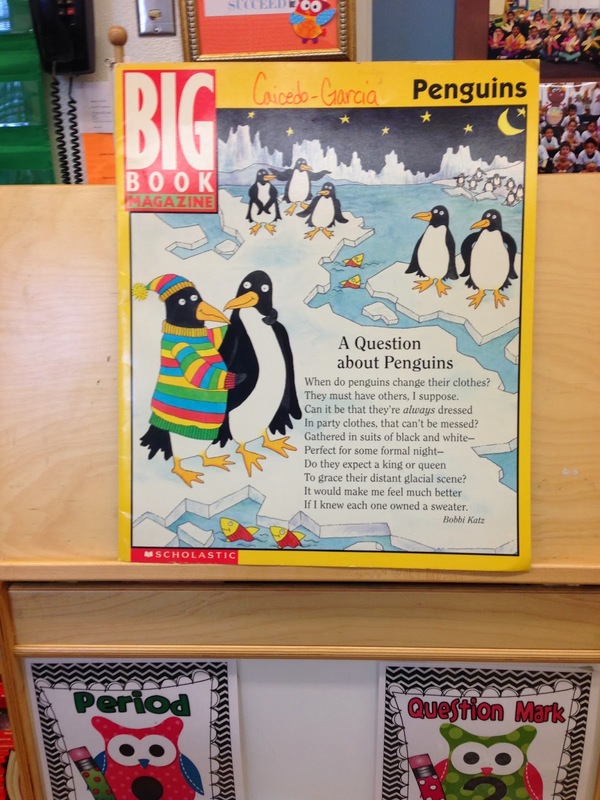 We read lots of books through a variety of reading modes, look at different types of media, discuss in groups, and create class charts. 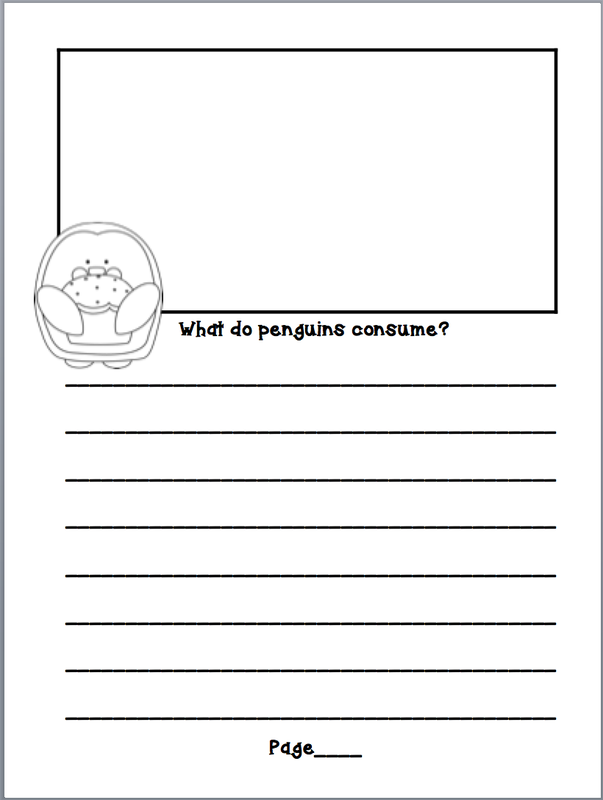 We do lots of graphic organizers. I do not rely on dittos so much. 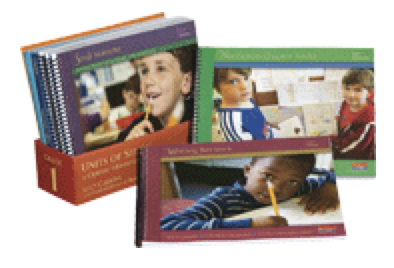 They will create most of their own graphic organizers in their writing notebook or loose leaf school paper. I model, model, model what I expect them to do on their own and then provide them with plenty of opportunities to practice. 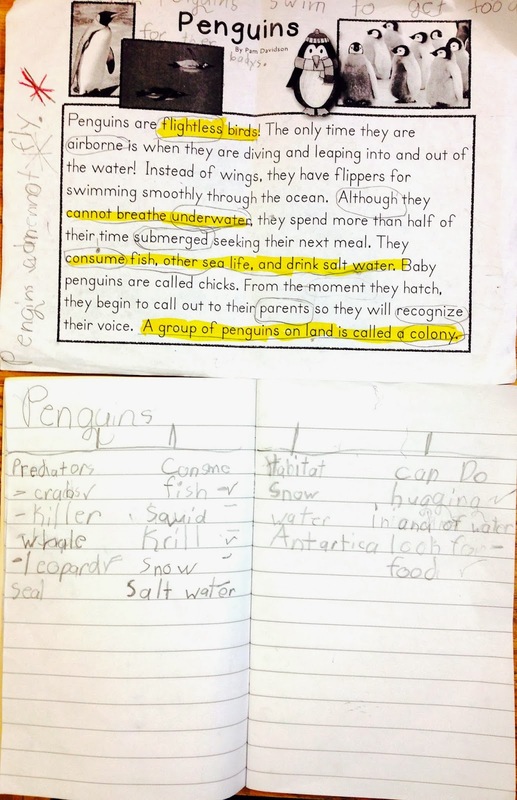 Students do their on pictorial/diagram in their notebook. "Today boys and girls you will be doing research with your partner. 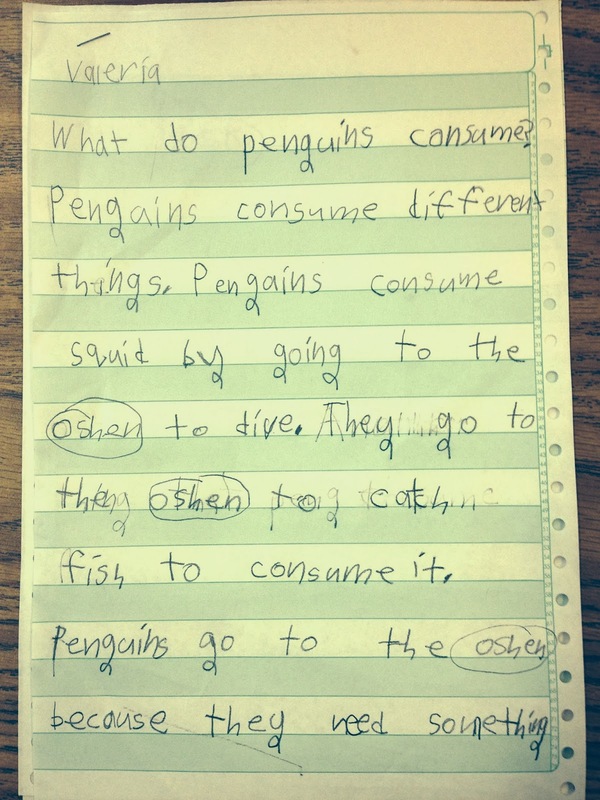 I want you to do research on (what penguins can do). " They head on out and find only information on the focus area. 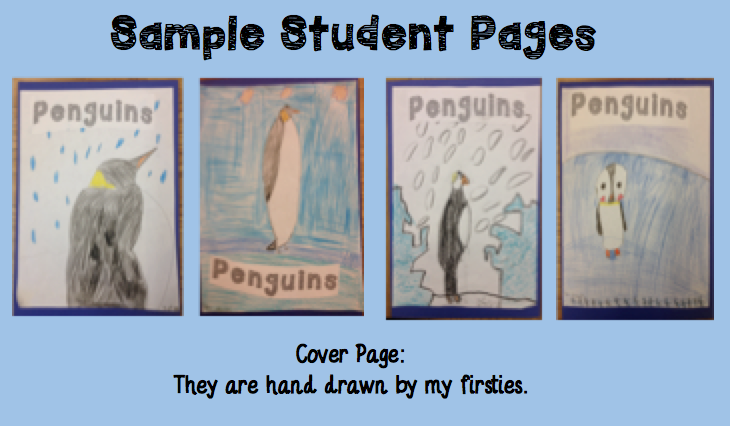 Together with their partner they write/draw their findings in their penguin books. 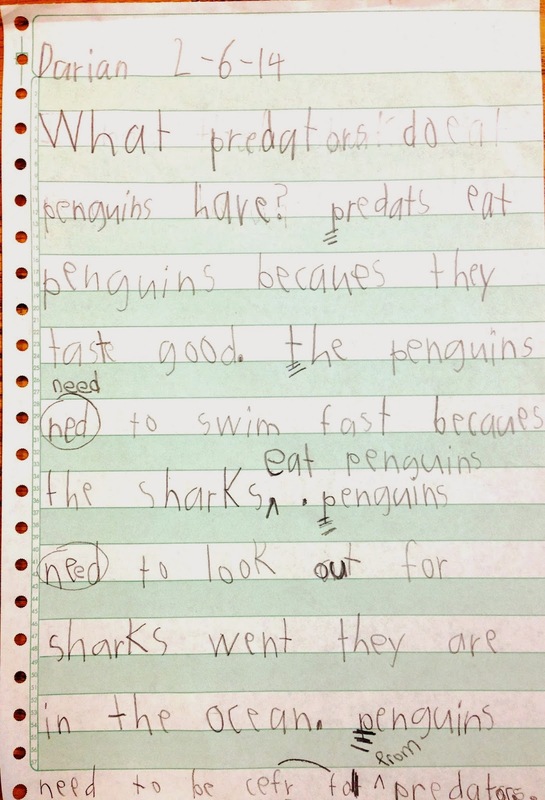 And because we practice the close reading strategy all the time, they really stay on topic and know they can only write down what they can cite from the texts. For the closing, they come back together to share out their findings and we chart it on some type of graphic organizer. This continues until they do the same for Habitat, Consume, & Predators. They will then do their own treemap in their notebook with 3 items of their choice for each item. 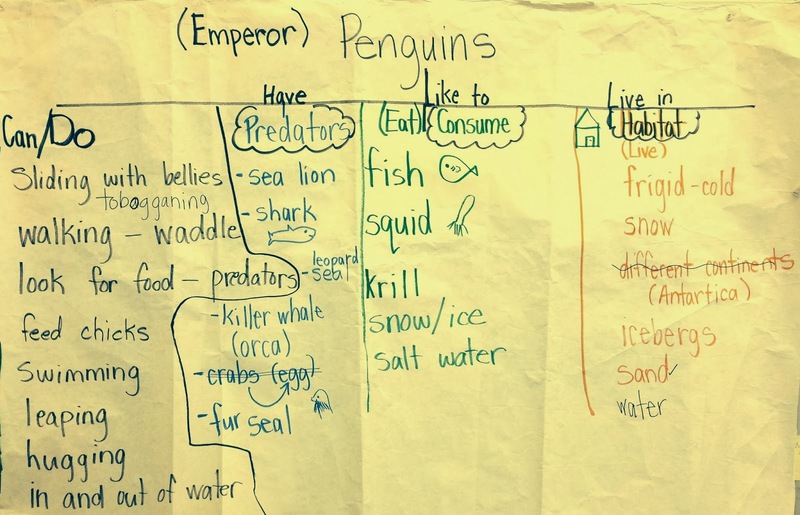 Whatever graphic organizer they use, the purpose is to write/draw their facts These are the details they use in their first draft. 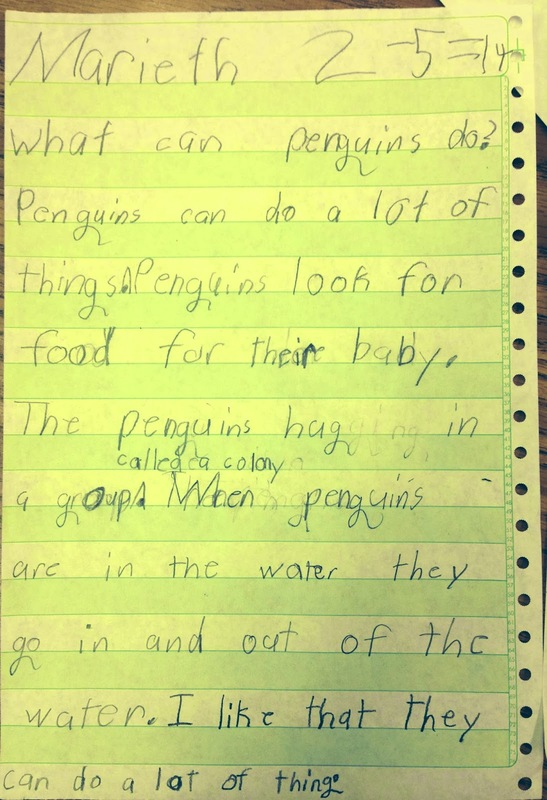 They also get to use their close reading passages to gather their information. 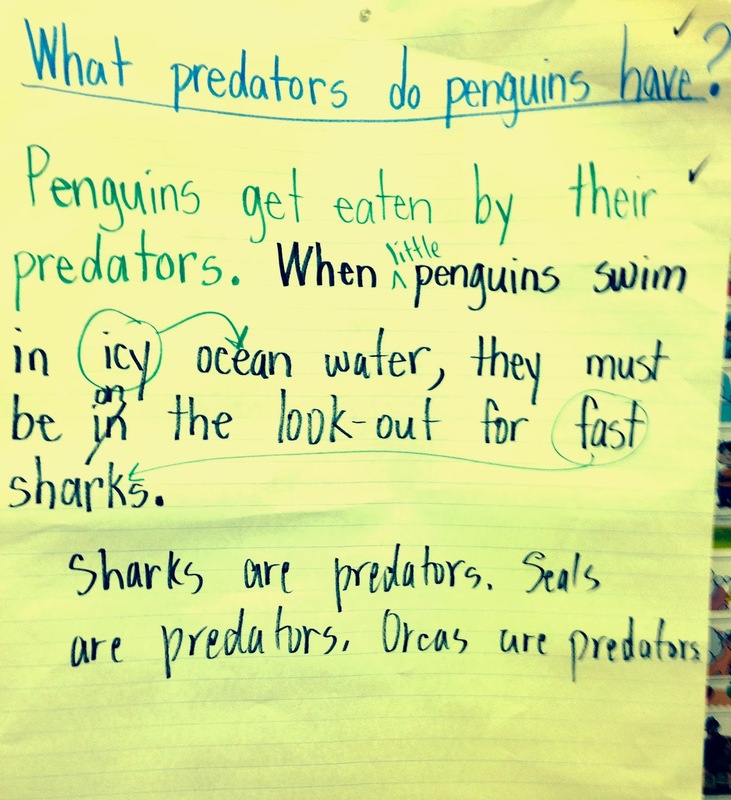 Day 1: Brainstorm some opening and closing sentences for our writing. We do this whole group. I like to use Think-Pair-Share A Lot, and this helps all my kiddos participate in the formation of the sentences as some of my kiddos still struggle with this and I want them to feel as successful as possible. I then select a couple children with good oral skills to share out and we'll come up with 4-5 good sentences for the first subtopic. 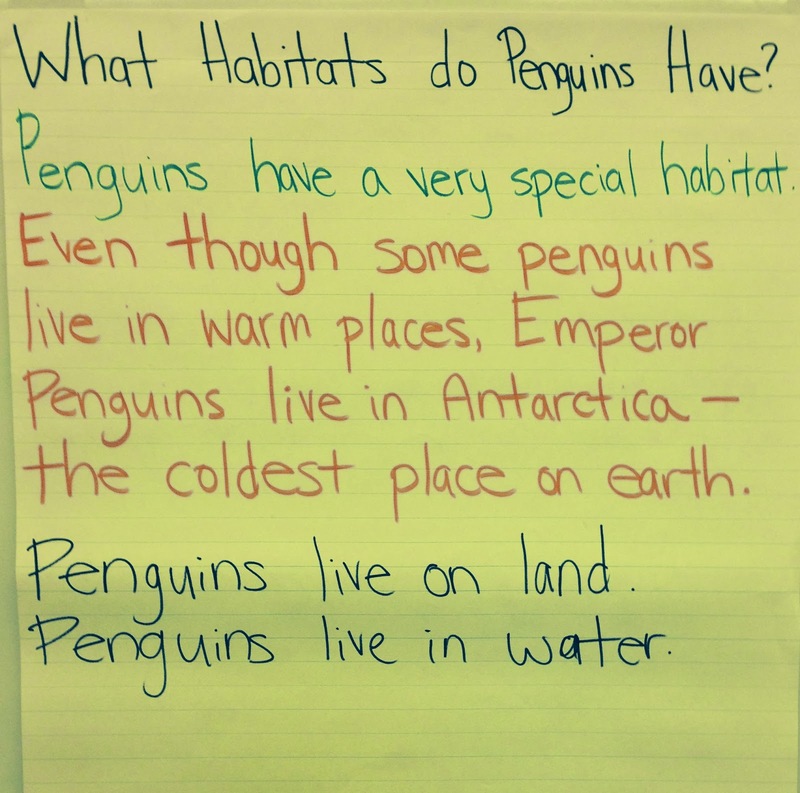 We then select one sentence and students will use this one in their writing. Here are some examples of our sentence charts. We are really working on expanding our sentences. I do one subtopic per day. The students also begin their actual drafts on this day. 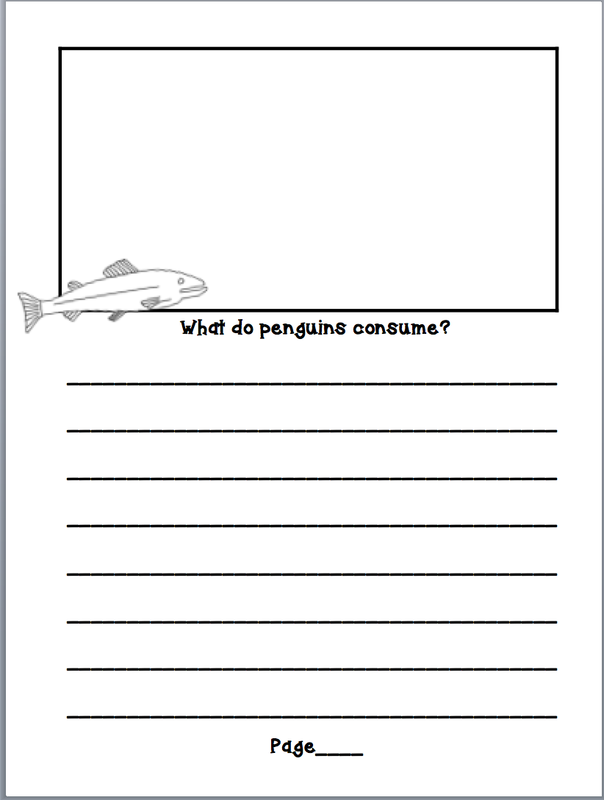 For their drafts, students will use this green bar computer paper I buy online from Office Depot. It is over 14 in. I cut it in half and one box will last me the whole year. It is AMAZING for helping with revisions and editing. 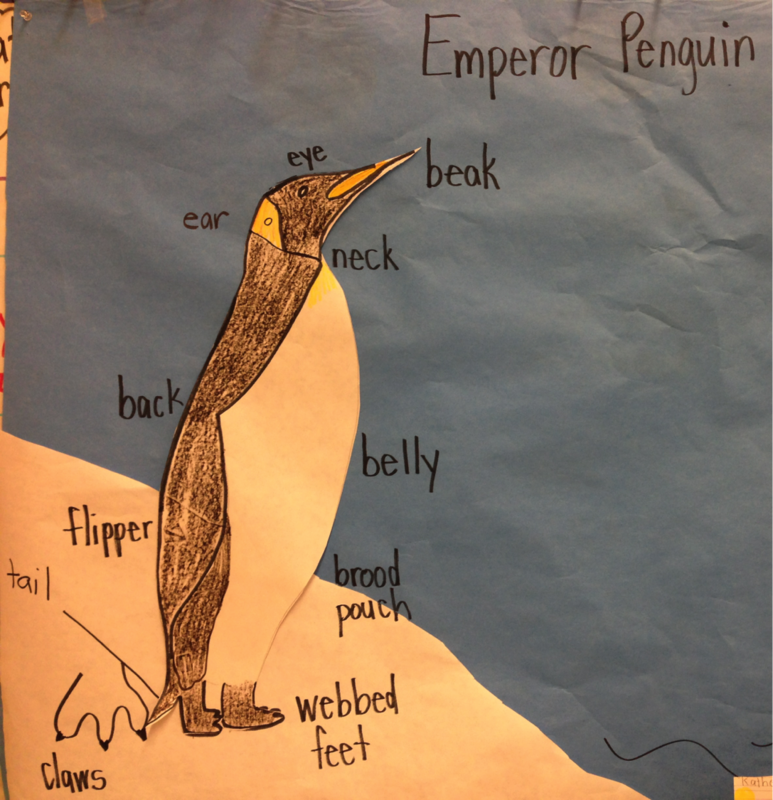 These are unedited examples of ELD 2 students. Both of these kiddos had strings of letters at the beginning of the school year. Day 1-2: Write! Write! Write! They use their treemap to select their choices and to formulate complete sentences. 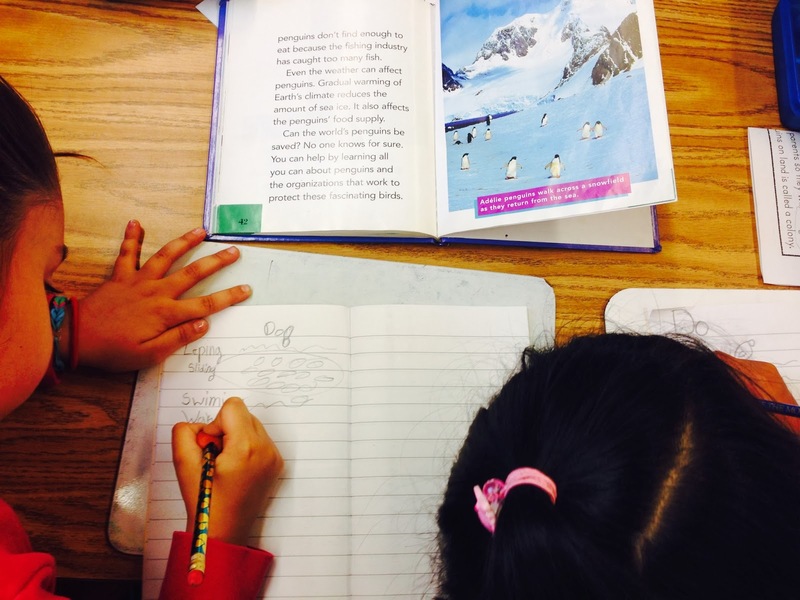 At the beginning of the year we thoroughly discuss kinder vs. first grade writing. Their aim is to have sentences with more than 6 words in them. I also start pulling kiddos to meet with me so we can go over the content and/or grammar. My focus varies depending on the developmental writing stage of the child. For some of my kiddos, I want them to just write, and for others, I work on developing their ideas and using their resources. 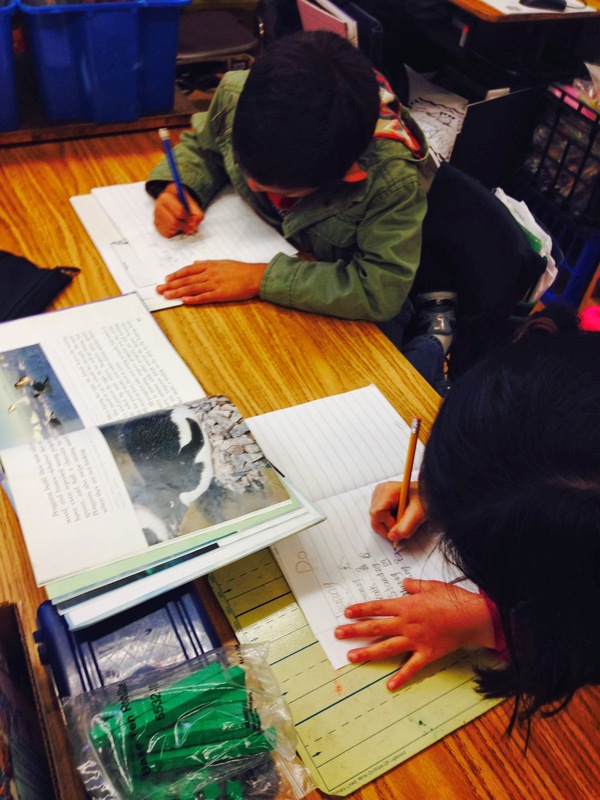 These writing conferences usually last between 3-5 minutes per student. Here are examples of a self-revised/edited papers. 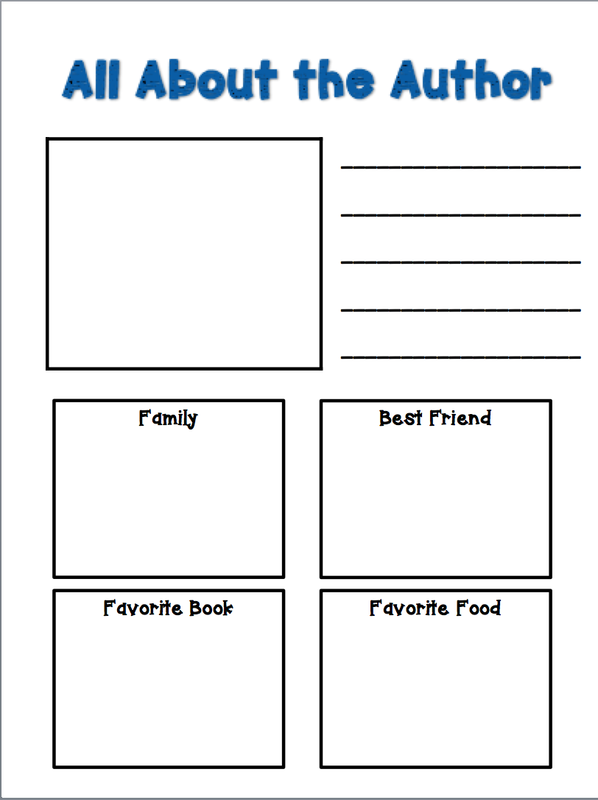 Click HERE for your free printables. 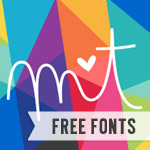 If you grab your FREE copy, don't forget to leave me some feedback. I love to know how to make things better.